The Borough Office Building was first built as the Adams County Jail, and was later the Adams County Library. 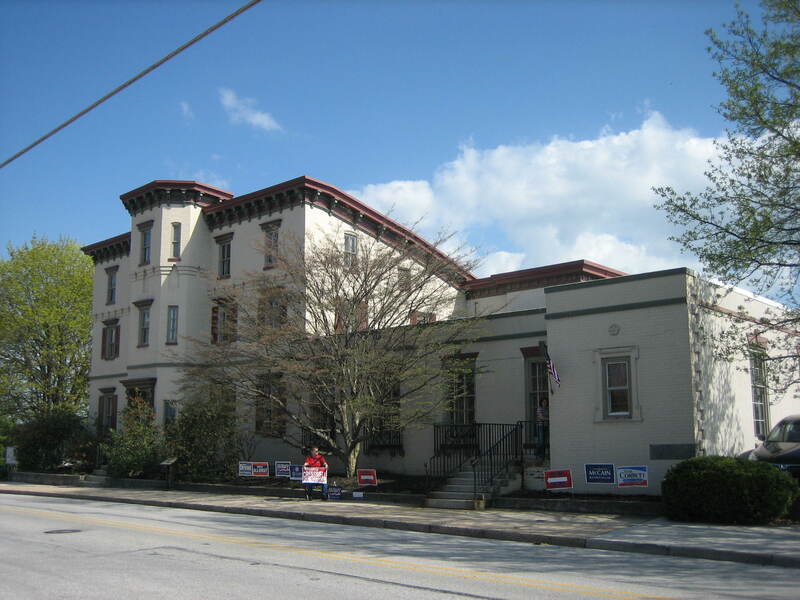 Voters enter the steps on the right, and make a right turn to the Borough Chambers. This view was taken from the northwest facing southeast at approximately 4:20 PM on Tuesday, April 22, 2008. The nation’s eyes are turned to Pennsylvania for today’s primary elections, but voting in Gettysburg was not as busy as the Gettysburg Daily expected. By 4:20, only 226 people had voted at Gettysburg Precinct #1, the Borough Office Building at 49 East High Street. Inside precinct #1, the Gettysburg Borough Chambers. 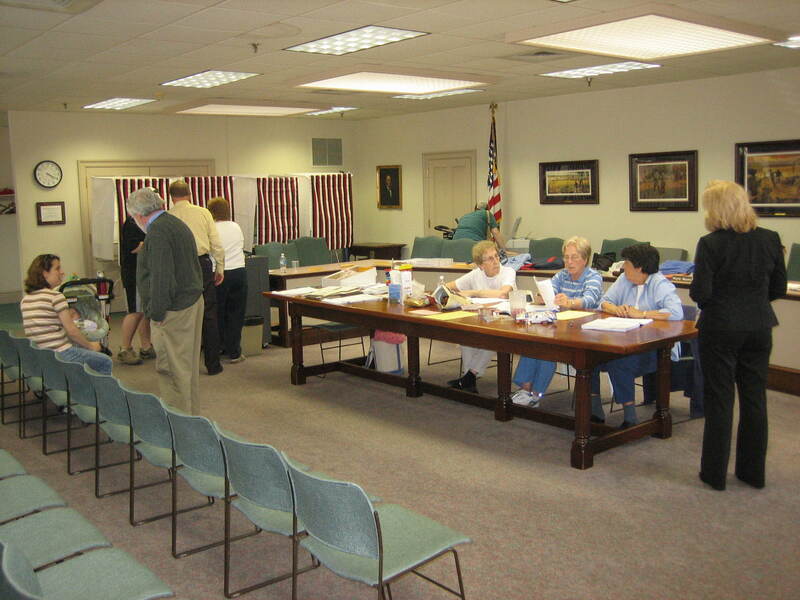 Voters sign in at the table, and use the red, white, and blue booths in the back. This view was taken from the northwest facing southeast at approximately 4:20 PM on Tuesday, April 22, 2008.